RAW is so thin that you can see through it. Each paper is watermarked with our patented Criss Cross watermark. This special watermark helps prevent runs and maintains the smooth even-burning characteristics that we are famous for. 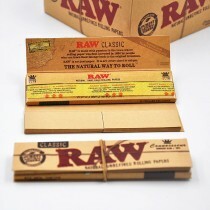 Enjoy your favorite smoke in it's purest form, try new RAW natural rolling papers and experience the difference. Raw standard size rolls 3 metre length. The natural way to roll! 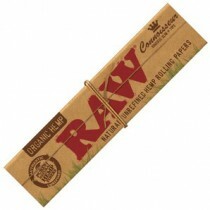 RAW Natural Rolling Papers are a new product that is taking the smoking market by storm. 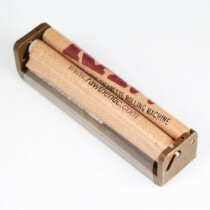 It is a pure, less processed rolling paper unlike anything that you have ever seen or smoked. Because it contains a hybrid blend of unbleached (not chlorine whitened) fibers, the paper is a translucent natural light brown color.